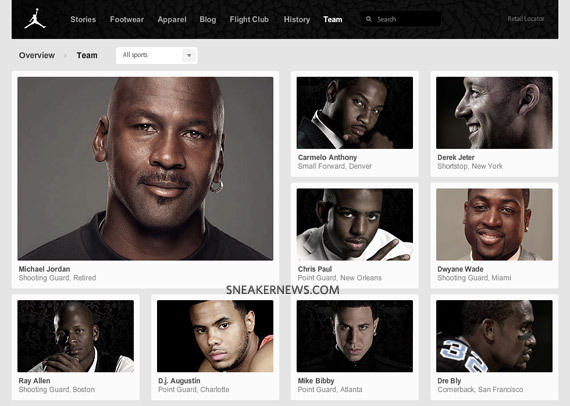 For a site that used to require constant attention with its Air Jordan Flight Club exclusives, Jumpman23.com has been updated relatively infrequently of late. We’ve come to expect some new content each quarter along with sneak peaks and release dates, but the general layout has been identical for years. 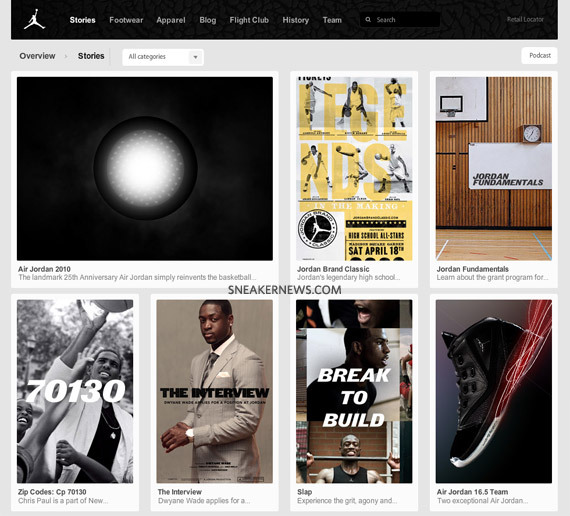 Well, start saying all of those things in the past tense, as Jordan Brand’s website has just undergone a thorough redesign. 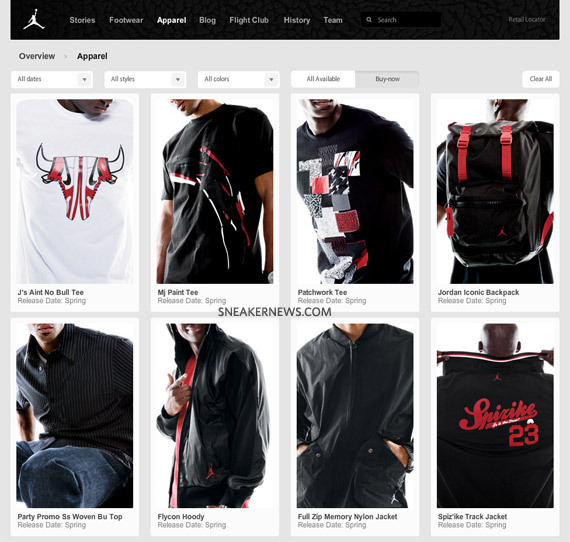 Pictured above is the new landing page, where you’ll find links to greatly-improved apparel and footwear sections, along with some interesting feature sections. 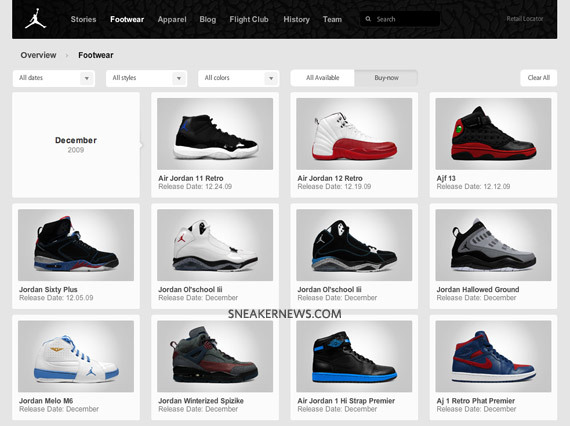 For the product pages, you can easily choose to see what’s out now, what’s on the way and when, or everything all at once, all clearly labeled. 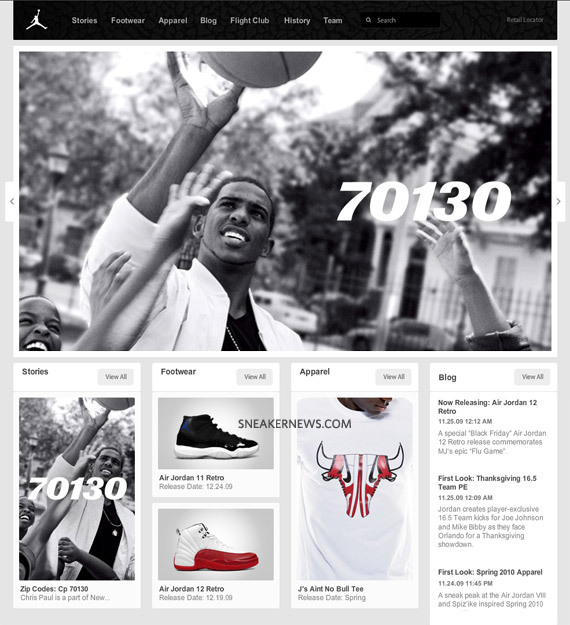 Check out how much better the new site looks and feels for your holiday shopping needs.